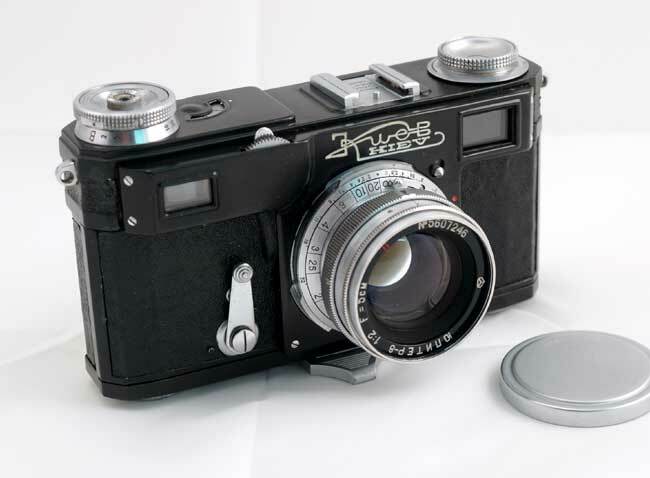 The Kiev II is a true Contax II copy and was in production at Arsenal factory in Kiev in 1950-1955. Some quantities were also made in 1956, this is one of them. 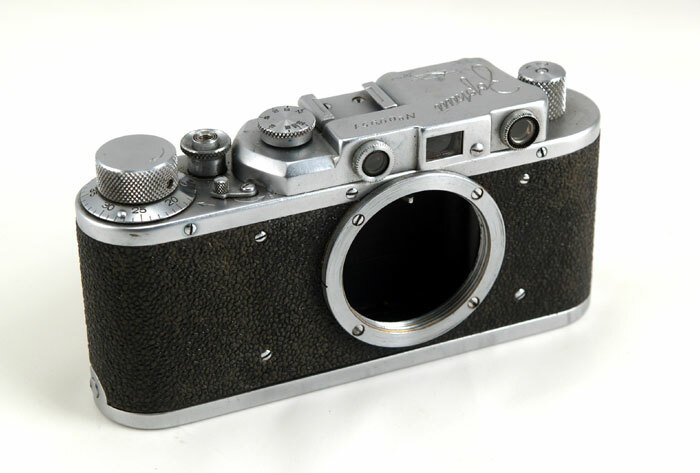 Kiev II is practically identical to the Contax II - it even features a stabilizing foot on the bottom plate. 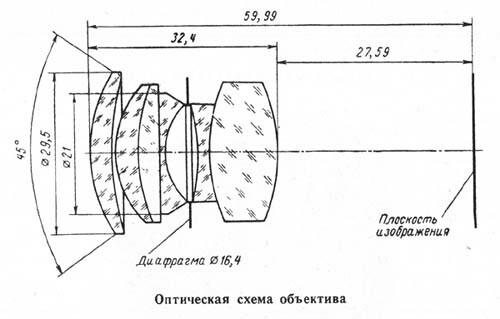 The camera is one of the last Kiev II made, serial number starts with 56xx. It is a later version with the Kiev engraving in Russian and English. 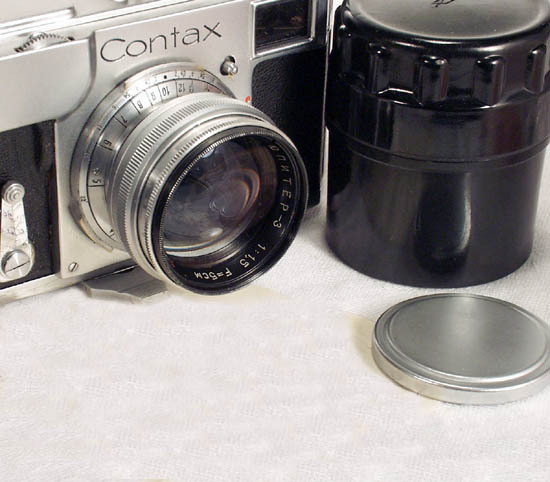 This camera is special, it is finished in black enamel, as was its grandmother (or grandfather) - the Contax I. There were no black Kievs produced by the Arsenal factory; this is a great and detailed work of a skilled repairman/restorer from Odessa, Ukraine. The camera was disassembled, all chrome panels were painted with a high quality enamel. New finish is baked in a controlled temperature chamber; the resulting finish is tough and durable. The camera comes with a metal lenscap. The Kiev II is much less common than its successors - Kiev IIa and 4a. It is a good user and a desirable and attractive collectible camera.